One of the more interesting reads in the blogosphere is Narrow Boat Albert, maintained by Steve and Maggie Parkin. They regularly post about their journeys along our waterways, and because they are based at Yardley Gobion, often touch on subjects of Wolverton interest. I have not met the Parkins but the blog posts are always well written and accompanied by excellent photographs. Two years ago they posted about the lock flight crossing the River Ouse between Wolverton and Cosgrove that preceded the aqueduct here. Again this month they explored the area and discovered the original cutting for the canal. New Year’s walk. This month marks the 200th anniversary of the Iron Trunk. This is an astonishing record and a testament to early 19th century engineering. 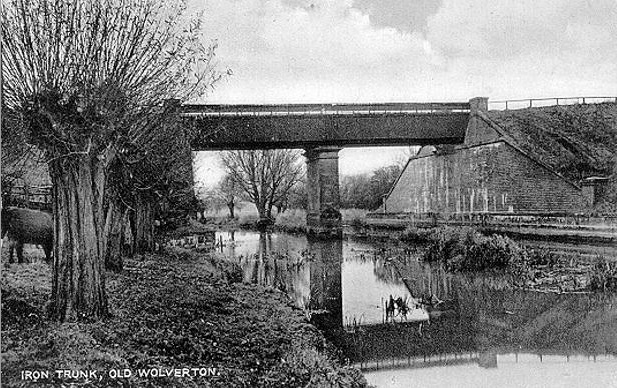 The progress to this was not easy, as I described in my December post on the Grand Junction Canal coming to Wolverton. There were three stages to the Ouse crossing – firstly the lock system from 1792-1799, then the ill-fated wooden aqueduct that lasted until 1808, and the final solution, which is what you see today, 200 years after it was constructed. Since I posted in December I have learned that Thomas Harrison was involved in another canal project. 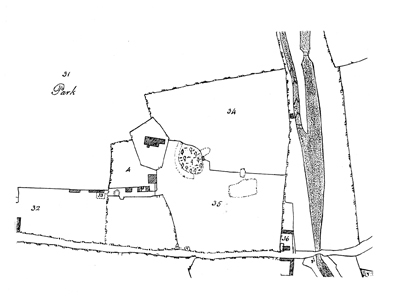 In 1784 he formed, along with other investors, The Flint Canal Company. The intention was to build a canal from Greenfield to Flint. The canal was never built, but they did build a new stone bridge over the river and a brass plaque, dated September 10th 1788, marks the laying of the foundation stone. This is of some interest to us because it shows that Thomas Harrison was involved in canal projects in an earlier decade and his building of the aqueduct was not a one-off project – although it was certainly his last in this field of endeavour.